Visual Art Exhibitions, Bunnell’s flagship program, opens the first Friday of every month with an artist’s reception, lecture and, new in 2013, a demonstration workshop free and open to the public. A community tradition established by Bunnell Street Art Center in 1991, exhibitions continue to promote education and artistic awareness for the public, and networking, exchange and professional development for Alaskan artists. Bunnell’s Visual Art Exhibition Program, has a national profile. It was funded by the Paul G. Allen Family Foundation from 2006-2013. It is currently funded by private donors. Artist in Residence (AIR) features Alaskan and National artists at work in the gallery for month-long residencies. Bunnell’s Artist in Residence Program was created with support from Rasmuson Foundation and US Artists, continued with support from the Homer Foundation, ArtPlace America and the National Endowment for the Arts. It is now primarily supported by private donors and application fees. Visiting artists are provided with a studio, lodging and a stipend. In return, they are asked to develop new work, offer public performances or talks and engage the local community in participatory workshops. Artist in Schools (AIS) features from hands-on workshops for youth in Kenai Peninsula schools throughout the school year. The program provides one or two weeks of intensive exposure for local youth to Alaska’s professional artists. Participating schools are south of Ninilchik to the head of Kachemak Bay including Old Believer villages, Seldovia, Nanwalek and Port Graham. ASCA is the main funder of AIS, with all funds in additional to school fees supporting teaching artists fees. Additional funders include Rasmuson Foundation, Kenai Fine Arts Center, Alaska USA Federal Credit Union and the Kenai Peninsula Borough School District. Performances, concerts, dance, readings, talks, screenings, theatre and more have been a Bunnell tradition for twenty years. These events offer area residents and visitors innovative and artistically challenging performances ranging from Jazzline modern dance at Mariner Theater to experimental performance art. Nurturing diverse art forms is a hallmark of Bunnell’s reputation as an innovative, outstanding presenter. WESTAF, National Performance Network, New England Foundation for the Arts and private donors sponsor touring performing artists. Bunnell has showcased Alaskan and international performing artists since 1993. Bunnell offers workshops, artist development, participatory events and creative placemaking initiaves. Initiatives to promote engagement and inquiry are at the heart of Bunnell’s strategy to foster a dynamic creative culture. Workshops dovetail with exhibit and residencies. The Alex Combs Artist Award, residency programs, emerging artist cultivation, community-wide participatory events nurture artists at every level of professional development. Creative placemaking invests in community partnerships and stewardship through Old Town Dinner in the Street, Peonies on Pioneer, public art installations and arts advocacy. Old Town People’s Garden is adjacent to Bunnell Street Arts Center, along Main Street. Designed by master gardener, Rita Jo Shoultz, it is primarily a pollinator garden featuring peonies, honey berry, rhubarb, ligularia and crocuses. 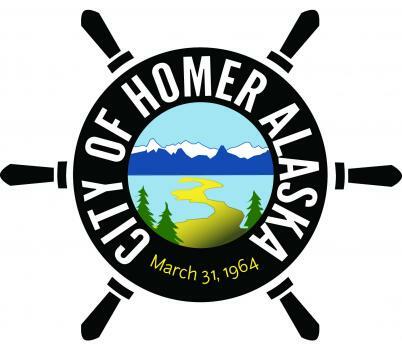 The Garden was sponsored by the USDA People’s Garden Grant program of Homer Soil and Water Conservation District in 2013 to promotes neighborhood stewardship and health and food security for greater Homer community. A neighborhood garden also promotes neighborhood beautification, stewardship, teamwork and healthy outdoor activities like designing, planting, weeding, watering, harvesting and sharing food and flowers that we are growing ourselves. Paint an Art Plate and contribute to the well of creativity that nourishes this community. Art Plates are handmade by local potters and painted BY YOU… artists, community members and Bunnell supporters. Bunnell hosts a plate painting studio in the gallery every winter/spring. If you are interested in painting plates please contact us. Art Plates are a cultural currency that leverage thousands of dollars in memberships, donations and grants to support Bunnell Street Arts Center’s mission and programs. The beautiful, collectable and functional Art Plates are available as premiums for memberships of $100 and above. The Alex Combs Artist Award is a designated fund administrated by Bunnell Street Arts Center for working artists to apply for up to $1500 to explore new techniques and ideas through workshops and symposiums. Applicants must be Alaskan artists working in ceramics, painting or sculpture. The award is based on the merit of the work and proposal. Limit of one award per artist per year.